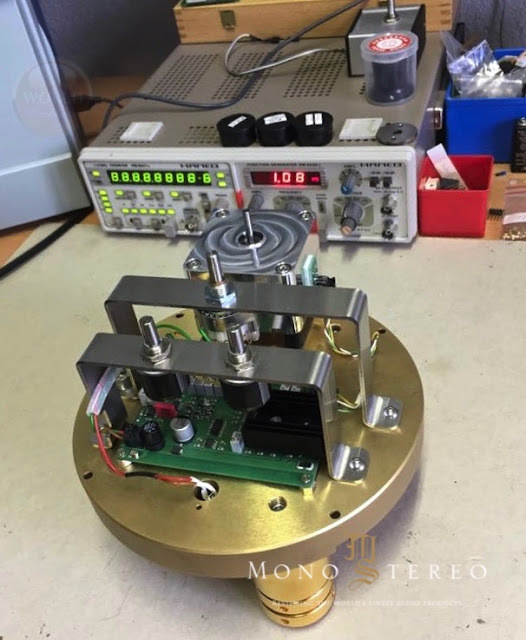 Check out inside of the motor of new DaVinciAudio Labs „EQ“ turntable„EQ“ turntable. This is a very low noise 2 phase stepper motor. Ball bearing, dimension: 58 x 58 x 38mm.